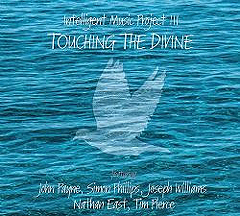 A year after releasing the all-star project My Kind O' Lovin', producer and composer Dr. Milen Vrabevski returns to fulfil his promise and ambition with Intelligent Music Project III - Touching The Divine. My Kind O' Lovin' was an incredible, simply beautifully-arranged All-Star concept album. Featuring drum legend Simon Phillips, Toto's Joseph Williams, and Ex-Uriah Heep Member John Lawton, My Kind O' Lovin' itself followed hot on the heels of 2012's hit album The Power Of Mind. Yet another highly innovative new album, it was actually conceived, written and produced by the aforementioned Dr. Milen Vrabevski. A CGI member he was also named European Citizen of the Year (2013). I know, who knew such a thing actually existed, but trust me, it seemingly does! This brand new album, and one that completes the always-planned trilogy, features session legends Simon Phillips, Tim Pierce and Nathan East. Òhe production concept relies again on two project launchers - guest stars John Payne (ex-Asia) and Toto`s Joseph Williams. Contained on this incredible, as to be expected, album are 14 stunning (there is no other word more suitable, or apt) musical creations of AOR scored with virtuoso instrumental charge. Touching The Divine is a rich and layered, guitar-centric, melodic-progressive sound that I challenge anyone not to admire, and stand tall to applaud once that needle leaves the vinyl. Chock full of dynamic riffs and evocative melodies, the entire album is one competent entity that Payne and Williams also incorporate they very own trade mark vocals lovingly within. And it's those vintage vocals of Toto's Joseph Williams and Asia's John Payne that drive this project onward and upwards, for along with his band of merry men, the Intelligent Music Project comes alive track after track after track. Recorded at Simon Phillips` Phantom recordings in Los Angeles (Williams, Pierce, Phillips and East) and at Intelligent Music Studios in Sofia (Pierce, Payne, Sentance), the Intelligent Music Project III features: Simon Phillips – drums and percussion (all tracks); John Payne – lead & backing vocals; Joseph Williams – lead & backing vocals; Carl Sentance - backing vocals & ad-lib; Tim Pierce – guitars; and the always-brilliant Nathan East on bass (he also appears courtesy of Yamaha Entertainment Group). I have to honestly say that listening to this album is like going into an awakened trance-like state! Makes no sense, I know, but once you hear this incredible album you will kinda get what that means! Every track just makes me smile, makes me happy to be listening to it. And as much as I know this cannot be true, given all the songs in the world, all the chords struck, but it honestly feels like you're listening to music, to songs that use all the notes within their trade, and yet have still managed to bring forth a recording that hasn't ever been heard in any capacity ever before! I have to say I enjoyed each and every single track on this album - and again on repeat! I had it on in the office and everyone came up tome to ask what we were listening to ... and then wanted copies of it for personal use! These are all such well-written songs, embraced by some wonderful instrument performances that there is not one filler to be found here. Check it out for yourself as you will NOT be disappointed.